Sweep-netting over some rocky ground with patches of native and introduced grasses and forbs revealed a population of Pygmy Mole Crickets. 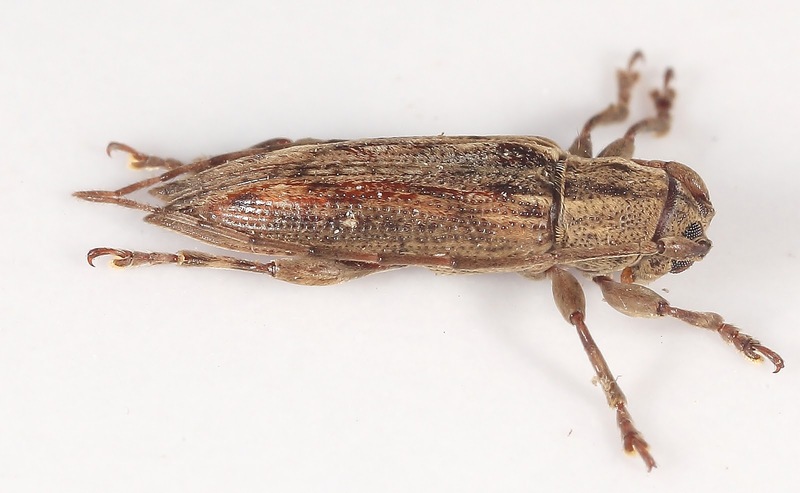 Pygmy Mole Crickets could easily be overlooked. These are only about 3 mm in length! They are strong jumpers and can leap a metre or so with a single hop. 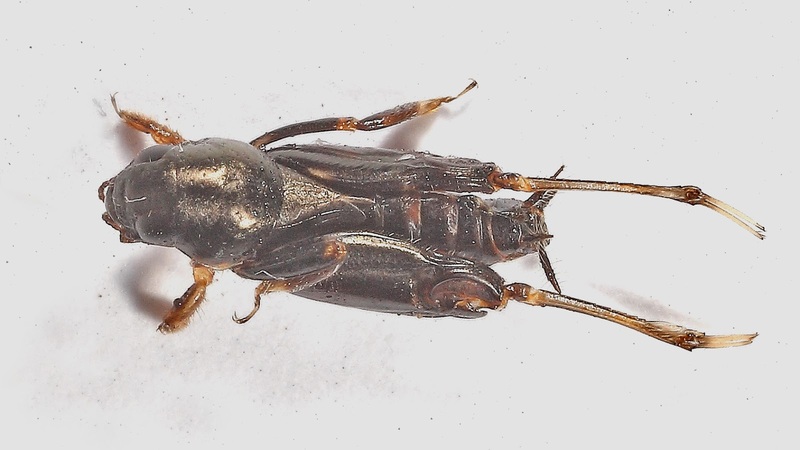 :Pygmy Mole Crickets are members of the family Tridactylidae. A number of species are known from Australia and are placed in two different subfamiles. I covered these in the book below. The crickets, not really "crickets" in the true sense, live in short burrows they make in wet ground. They are said to feed on algae that the scrape from pebbles. This is Xya muta (Tindale). The tips of the hind legs are highly modified for swimming, the paired appendages acting like paddles. Note the very short wings. This is a flightless species. It was originally thought that these insects were related to Mole Crickets (Gryllotalpidae) but they were found to be examples of convergent evolution. 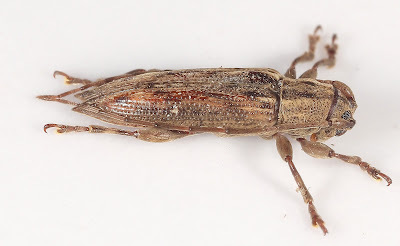 John & Rentz (1987) showed that they are properly placed in the Caelifera, and as such they are phylogenetically closer to grasshoppers than they were to Mole Crickets. 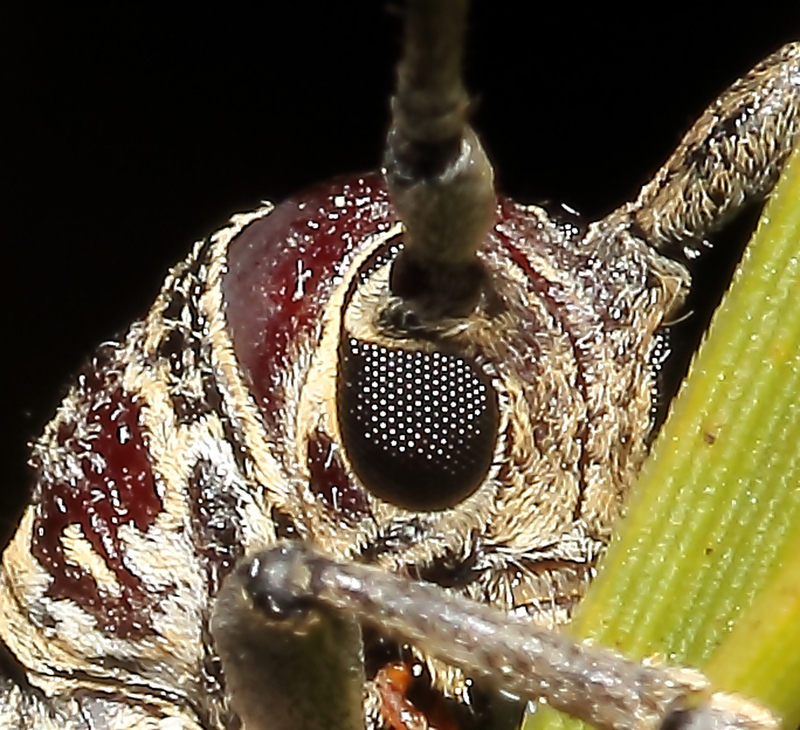 The swollen hind femora enclose the muscles that allow the "crickets" to make their incredible jumps. John, B., Rentz, DCF. 1987 The chromosomes of four endemic Australian fossorial orthopterans: A study in convergence and homology. Bulletin of the Sugadaira Montane Research Center. 8: 205-216. Rentz, DCF. 1996. 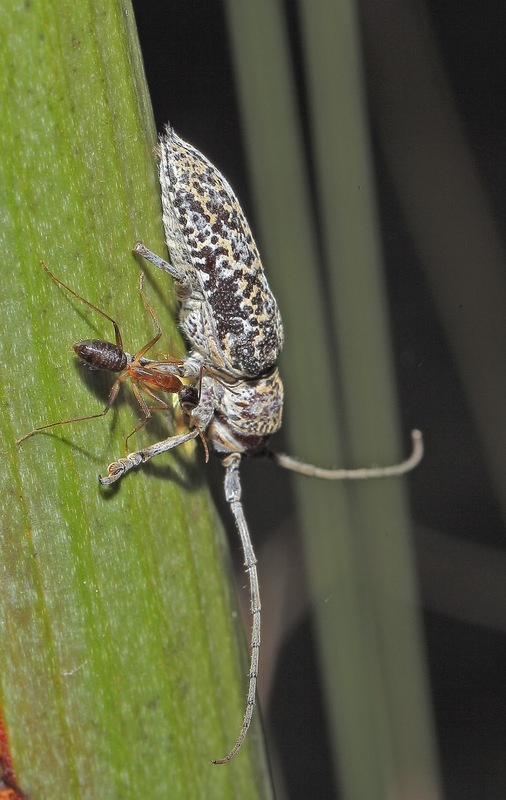 Grasshopper Country: The abundant orthopteroid insects of Australia. University of New South Wales Press. Pp. 1-284. Click Beetles are aptly named insects that most people seem to know. 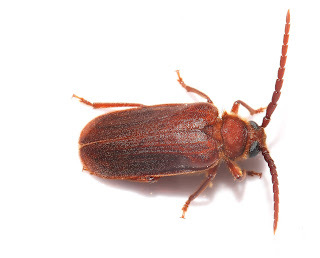 Whether they had come across the beetles in their youth or experienced depredations by the larvae (wireworms) in agriculture, most folks seem to know about click beetles. 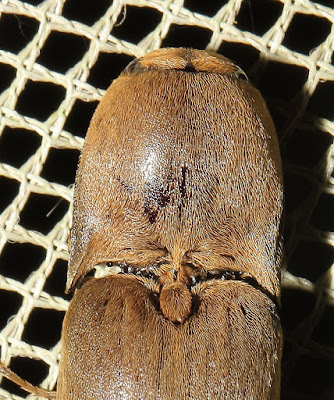 Click beetles (Elateridae), often called elaters, possess a click mechanism that allows them to snap into position if on their backs or, perhaps, to startle a predator when threatened. A few other beetle families also possess a similar click mechanism. The "click" is caused by spine on the prosternal area of the thorax that can be forcibly snapped into a notch on the mesosternum. Over 9000 species are known with over 670 species described from Australia. 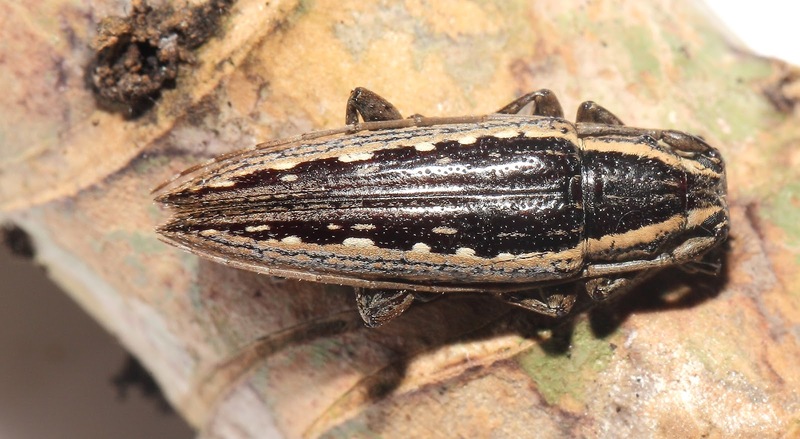 The Australian Click Beetle fauna was elegantly synopsised in a book by Andrew Calder published in 1996 by CSIRO. Here are few highlights from recent visitors at the lights in Kuranda. One of the commoner species. 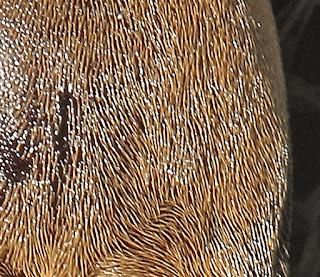 Note the brown colour is actually the result of brown stiff hairs that cover the beetle. 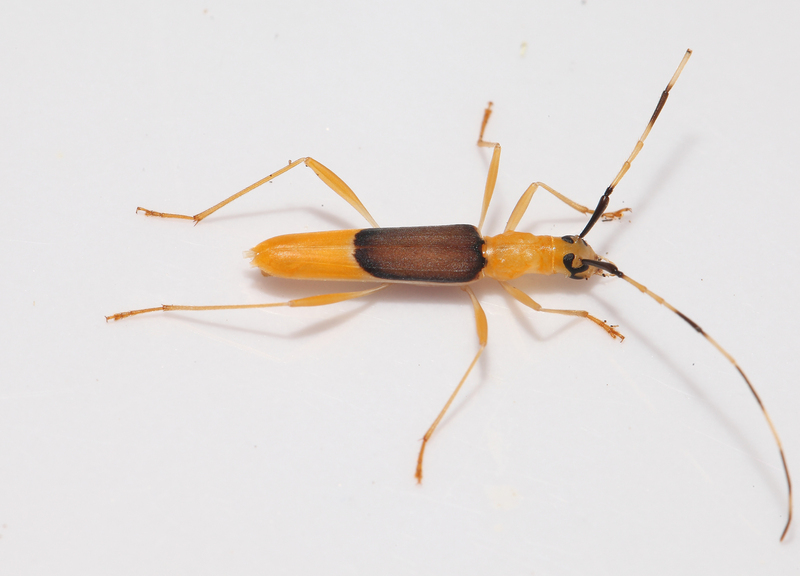 Thid is probably one of a number of species in the genus Paracalais. Positioned appropriately on a tree trunk, the elater looks like an imperfection in the bark. 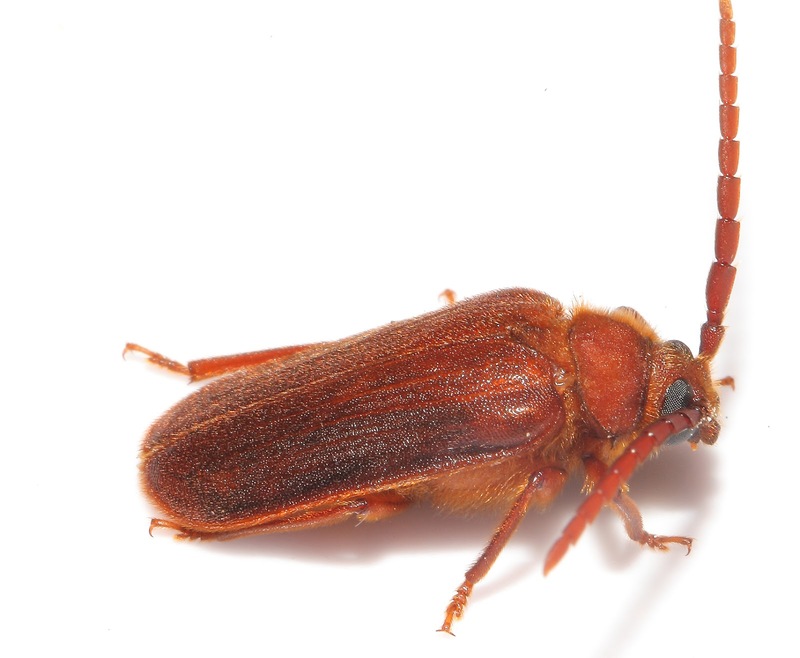 As with the species above, the colour is actually the colour of the stiff hairs that clothe the surface of the beetle. reveals it's a click. 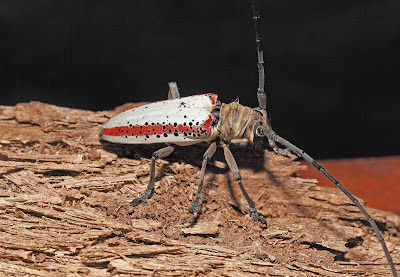 This is one of five species assigned to the genus Aphileus. Two are known from north Queensland. This one was found in mixed eucalypt forest north of Mareeba where it was attracted to light. Calder, AE. 1996. Click Beetles: Genera of Australian Elateridae (Coleoptera). 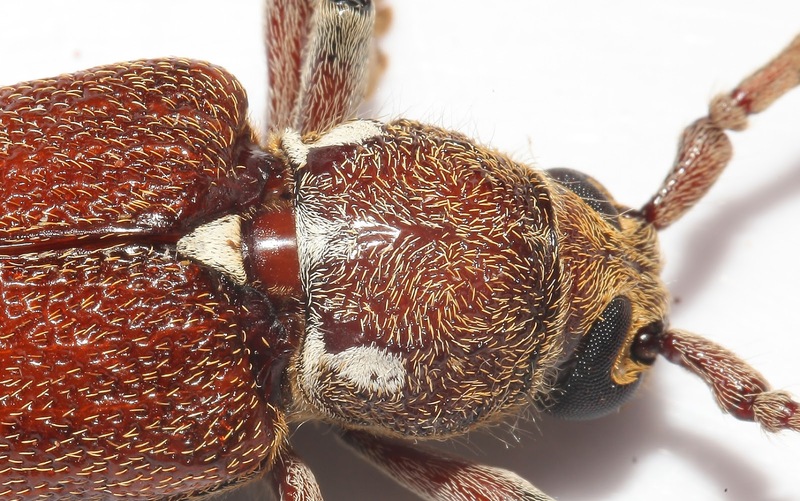 Monographs on Invertebrate Taxonomy, Vol. 2. CSIRO Publishing, Collingwood, Vic. Labels: Aphileus, Click beetles, Elateridae, Paracalais. 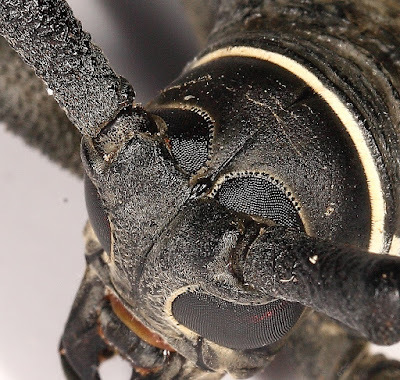 Longicornes (family Cerambycidae) are often spectacular beetles and are favourites with collectors. In Australia they range in size from about 5mm to some real giants of 80 mm or more in length. The larval stages bore in wood or stems of trees and shrubs. Rainforests with a diversity of trees, palms and shrubs have a rich assortment of species. Here are a few that have come to the lights in just the last few weeks. Dictamnia aestuosa.The host plants of this not uncommon species are unknown. Dictamnia aestuosa. 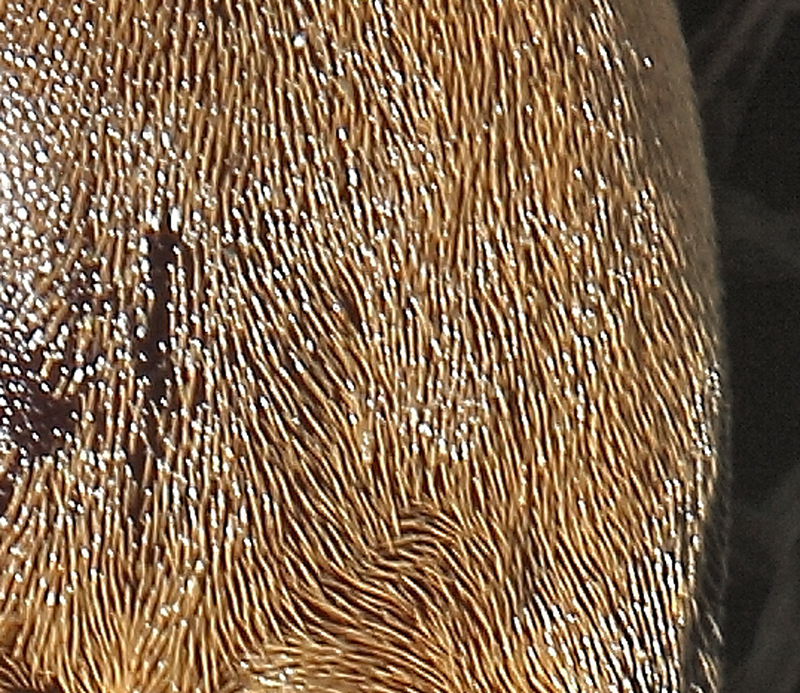 Note the pattern of hairs contributing to the colour of the beetle. Batocera frenchi. This spectacular longicorne can be common at times. 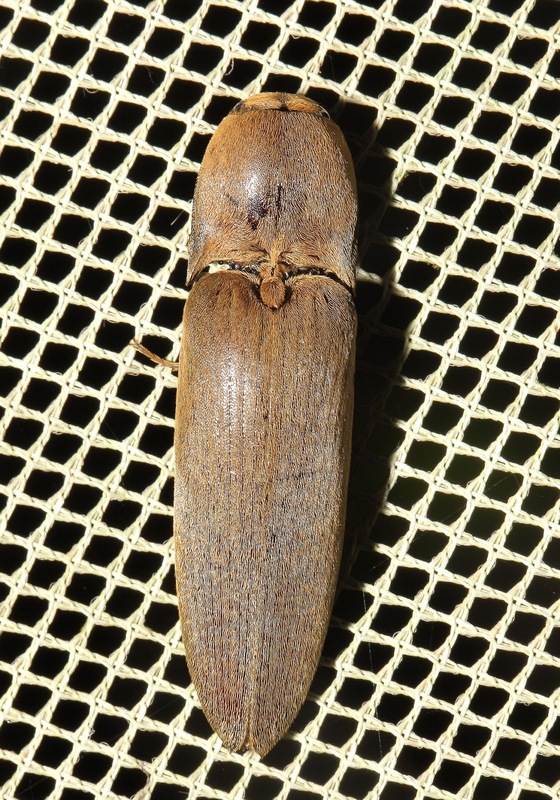 If a preferred log is discovered in just the right degree of decomposition, often dozens of beetles can be found mating and ovipositing in the preferred host. 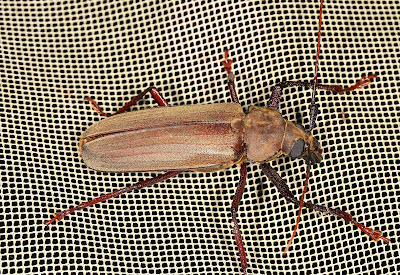 Batocera frenchi. 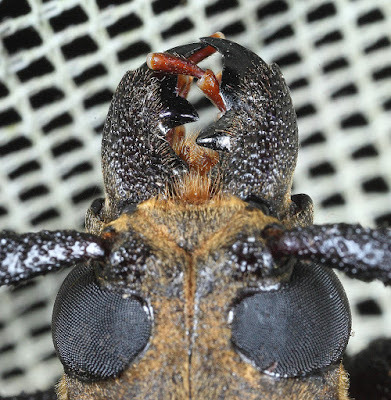 The eyes of many beetles are divided or interrupted by the insertions of the antennae. 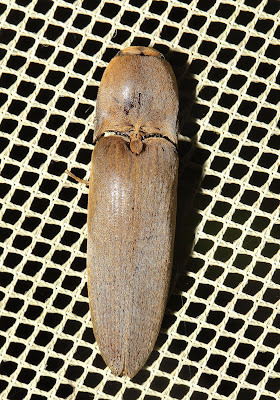 Batocera frenchi. to the dismay of the collectors, the orange spots fade to dull creamish yellow after the death of the beetle. Rosenbergia megalocephala. 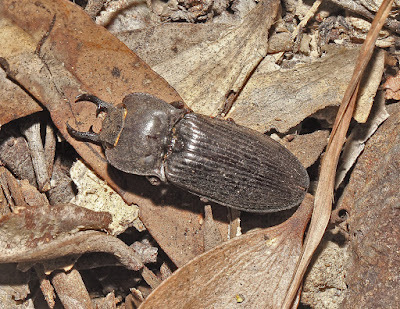 This beetle is widespread across the northern portion of Australia. It is similar in size to Batocera but seems less common. 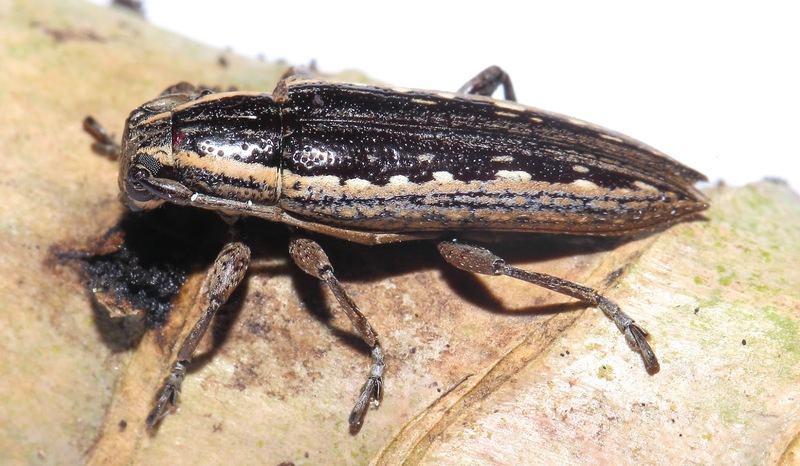 The beetles are probably associated with various species of native figs, Ficus spp. Rhitiphora sp. Dozens of Australian species are placed in Rhitiphora. Some are agricultural pests in that they bore into soybean and lucerne. But most occur in native trees and shrubs. This species seems to always be present at one of our favourite collecting sites, Grievson Rd, Koah, Qld. 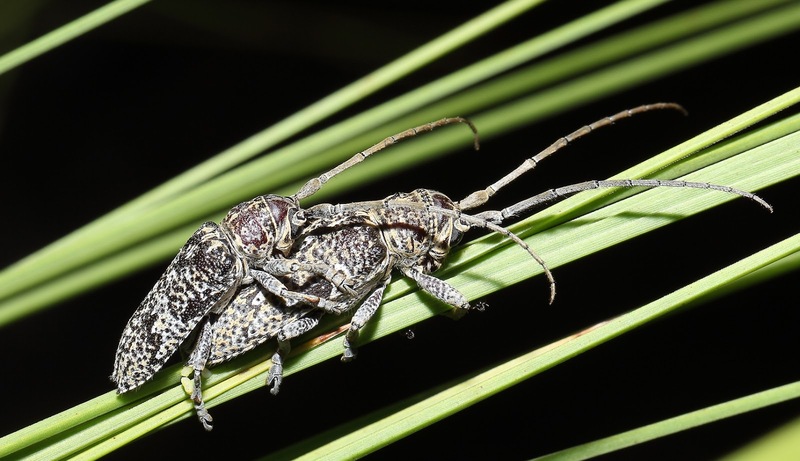 The larvae most likely live in the canes of the Northern Forest Grass Tree, Xanthorrhoea johnsonii, of which a 2 metre tree can be 200+ years old! Rhitiphora sp. The ant may be interested in a secretion from the beetle. Rhitiphora sp. As with many longicornes, the eyes can be divided by the base of the antennae. Xixuthrus sp. A formidable Australian prionine. This is a large beetle, 75 mm or more in length and has a nasty disposition when encountered. 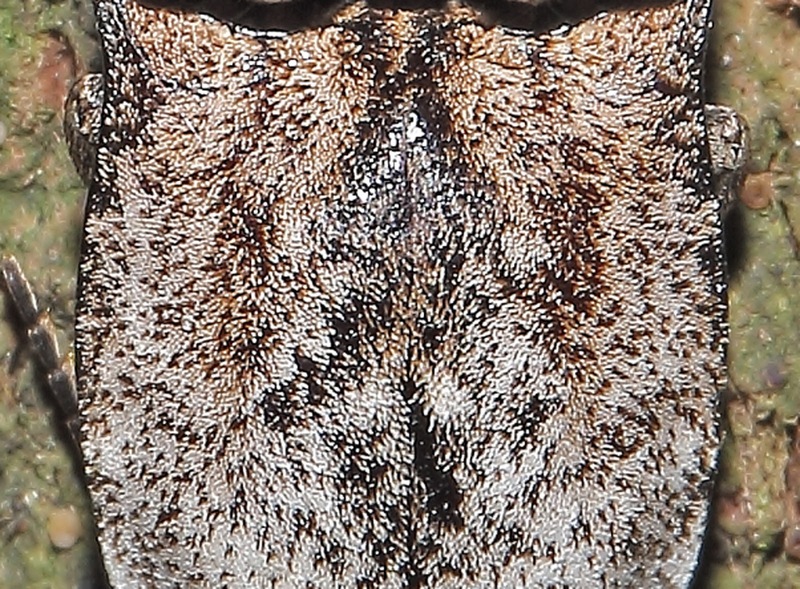 Xixuthrus sp. the mandibles are used primarily to chop into wood but they keep predatory birds, such as the Black Butcherbird, Craticus quoyi, at bay. 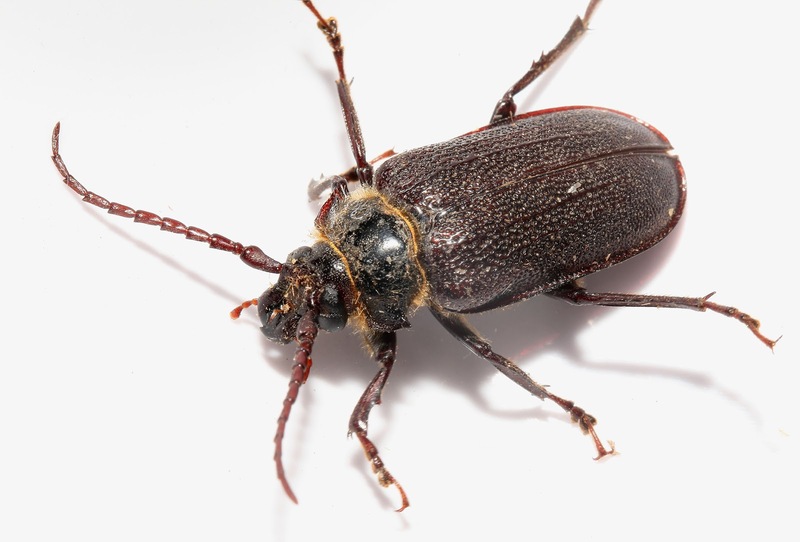 How the birds manage to subdue the beetles without getting bitten is remarkable. Supposedly, one bite on the leg, wing or tongue would permanently disable the bird. 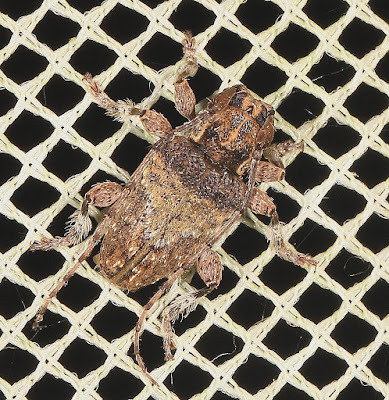 But legs and tegmina are found around the lightsheet and the birds have been observed flying off with the struggling beetles in the morning. 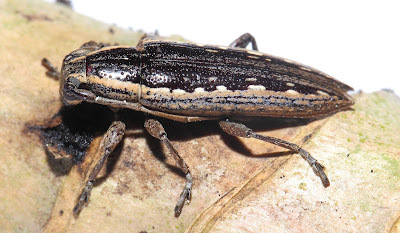 ?Didymocetrotus foveatus. Not uncommon. Note the distinctive stance. Aesa sp. A "buzzing" longicorne. 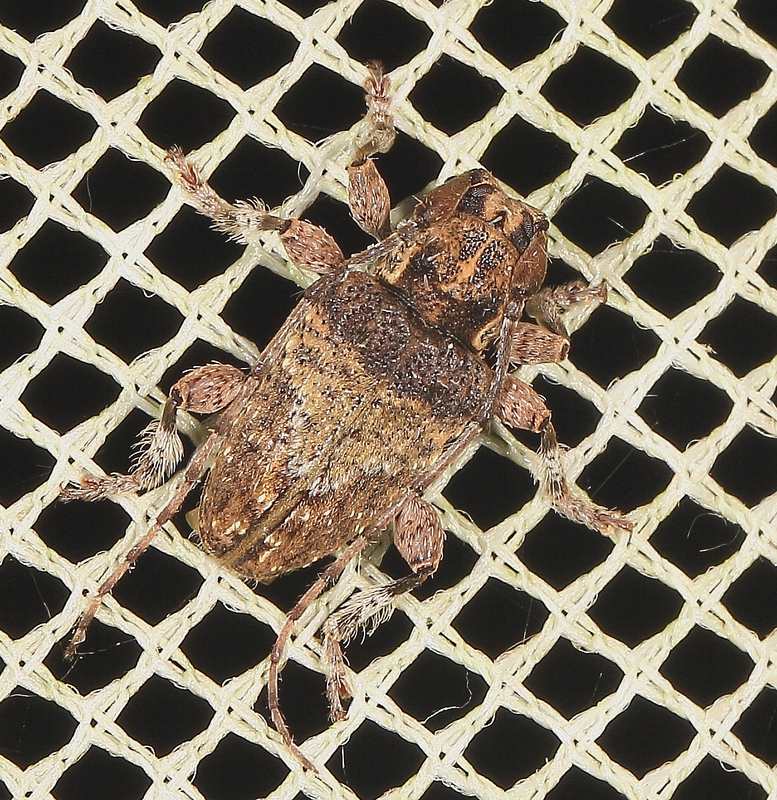 This small, fuzzy beetle seems to never alight when it visits the lightsheet. It buzzes tirelessly. 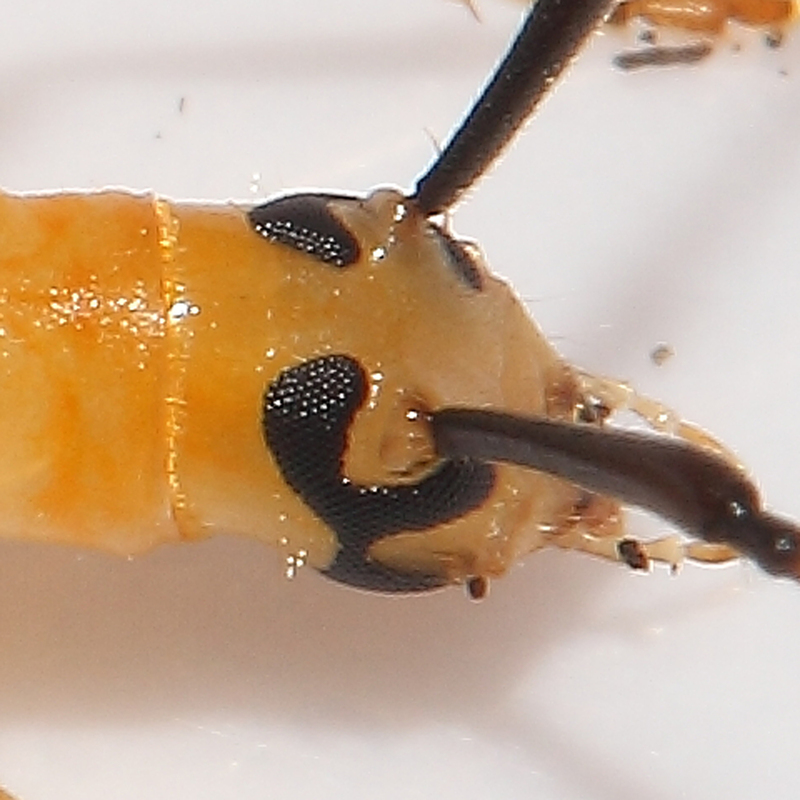 Aesa sp. 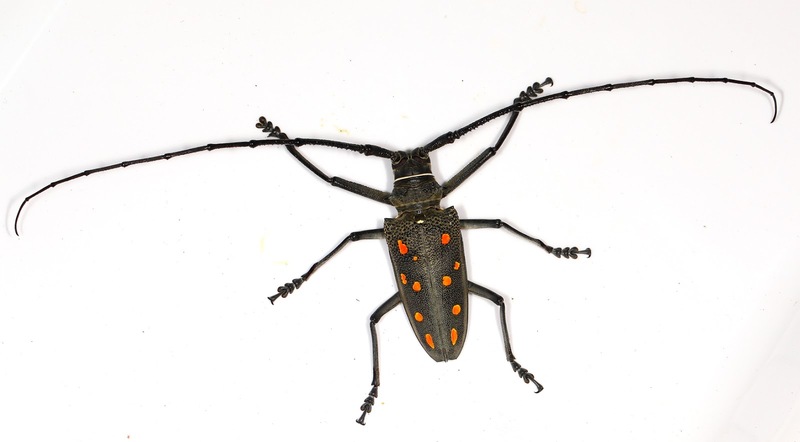 This beetle varies in colour. 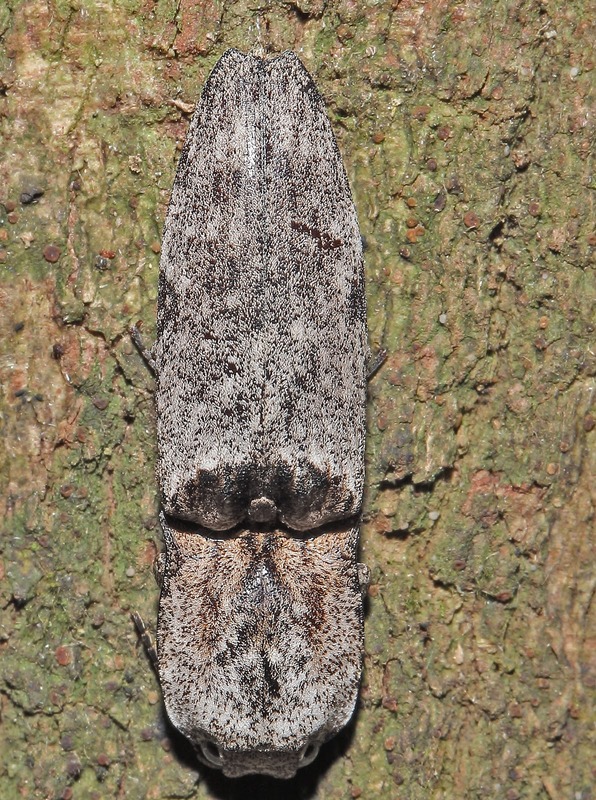 Velora sp. This fury little longicorne is an infrequent visitor to the lights. 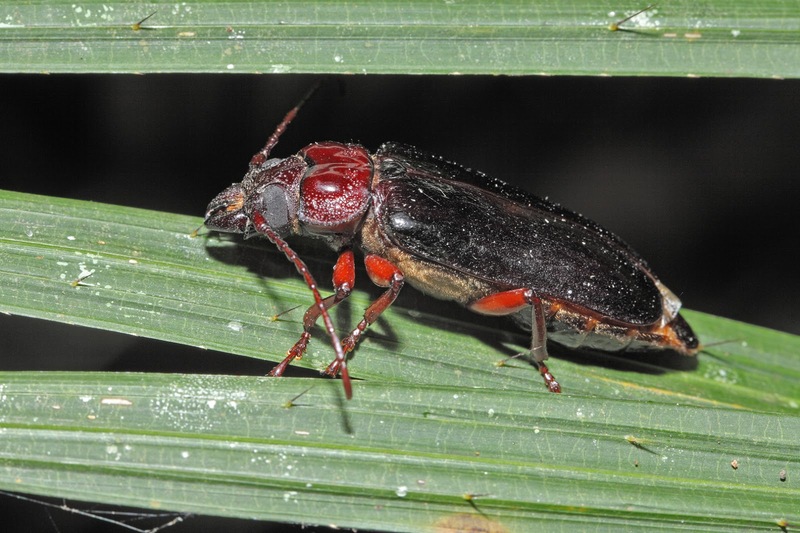 The larvae of some species have been reared from legume species. 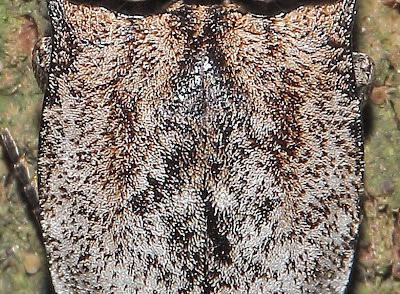 Sybra truncata. Sybra species have been reared from a variety of trees and shrubs. Apparently, this species has not been associated with any specific host. 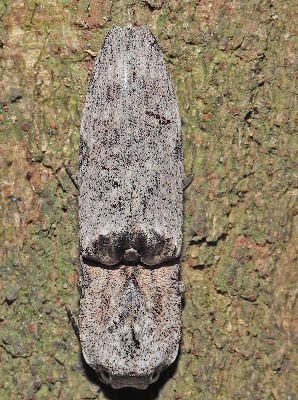 Tricheops ephippiger. 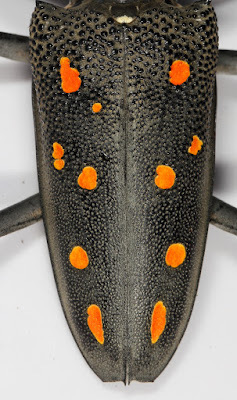 This colourful beetle has the lower lobe of the eye deeply divided by a "mandibular gland dispenser" which bears a group of stout hairs (not seen here). This longicorne, like many others, has a very distinctive odour when handled. Supposedly, the gland dispenses this scent. Sclerocantha sp. 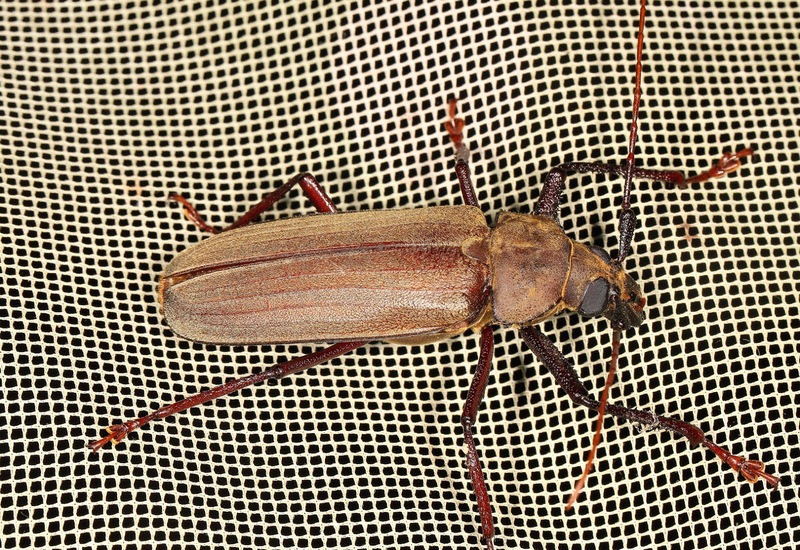 A prionine longicorne. Eurynassa sp. 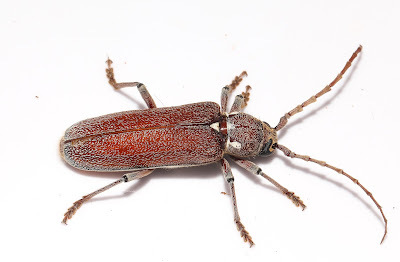 Another prionine longicorne which will be dealt with in Volume 3 of the wonderful series of books on Longicorne beetles being written by Adam Slipinsky and his team and published by CSIRO Publishing. 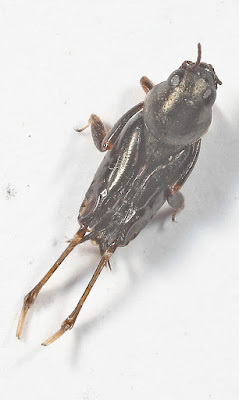 Thanks to Adam Slipinsky for helping with the identifications for some of the species. Some birds are real characters. 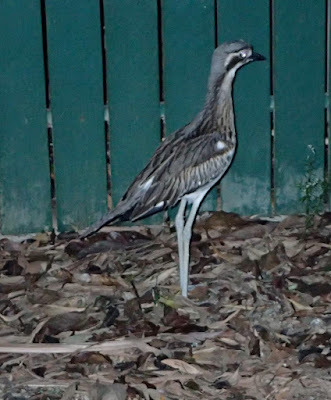 Recently Thick-knee or Stone Curlew has decided to stand sentry at our gate after dark. 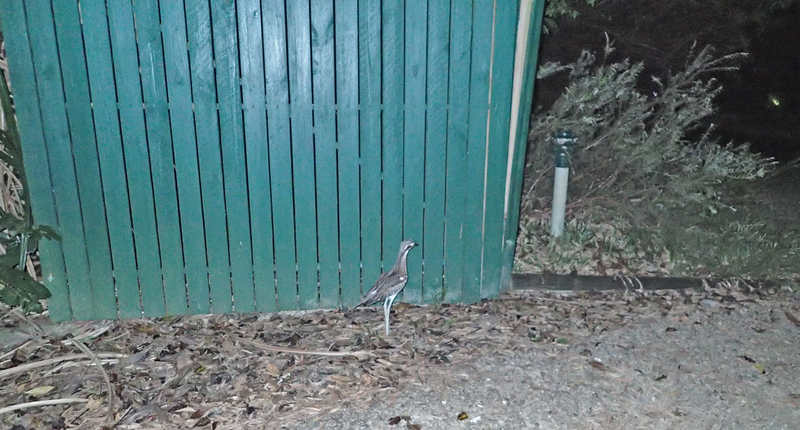 He/she is not bothered by the car passing by or the weekly trek in the dark with the rubbish bin to the curb. 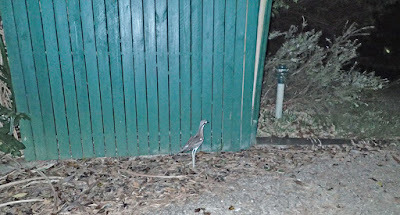 The bird just stands there in the same place in the dark. The wailing calls of Thick-knees at night is very perplexing to the uninitiated. The sound resembles a child or woman in distress. There are two species in Australia. The Beach Stone Curlew i very different in appearance and has a much thicker beak. Stone curlews are said to feed on insects. They are probably much better at finding crickets than I am! 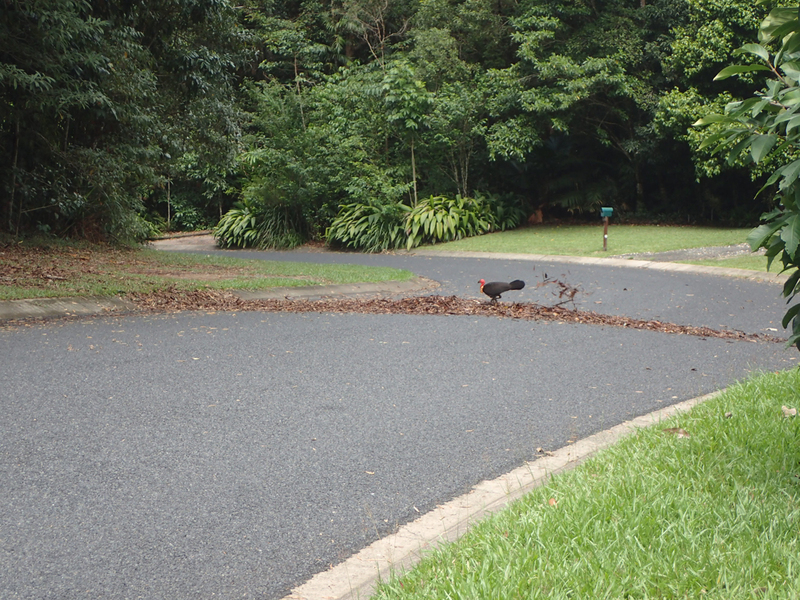 Bruch Turkeys are always entertaining---unless you are a gardener. 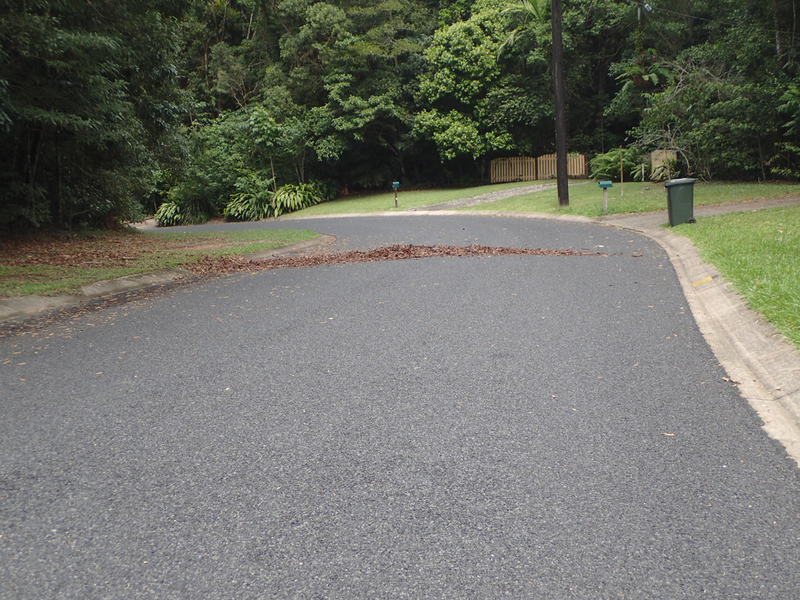 Our Major Domo decided that the leaves on that side of the street needed to be moved to this side of the street despite traffic! Perhaps, a nest if in the offing.